Exam period is a time of pressure, as all of the work of a semester is compressed into an effort of a few hours. At Chabad Jewish Student Center, we feel that some Jewish comfort food would be just the thing to help relieve some of the stress. DUE TO HIGH DEMAND, WE CAN ONLY COMMIT TO DELIVER CHANUKAH/FINALS PACKAGES TO STUDENTS THAT LIVE ON CAMPUS. 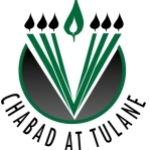 Students that live off campus would need to meet us at a designated time on campus or pick up from Chabad. Chabad's 2018 Budget is $460,000. Funds raised through our Gift Packages help cover a portion of that budget.